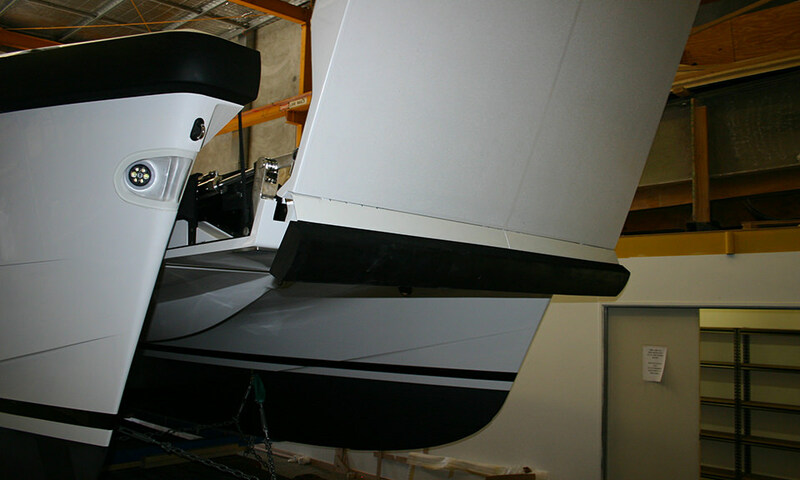 This 12m Cargo Catamaran is a large and stable work platform. 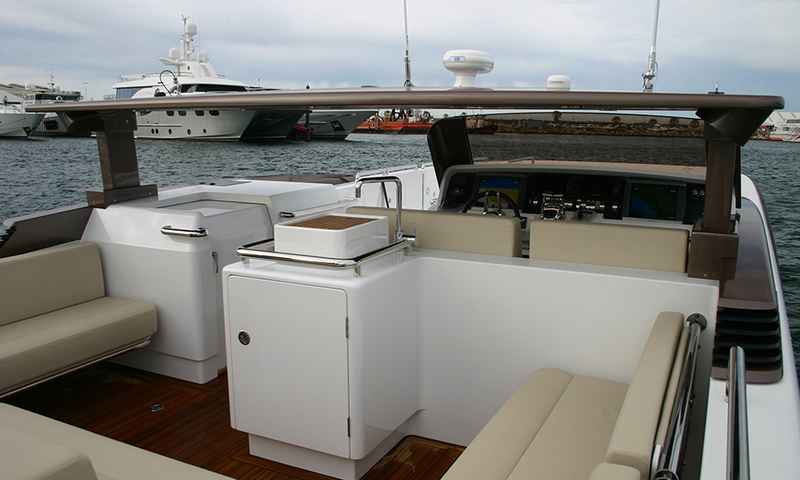 With a beam of 4.16 meters and overall length of 12m, she is one of the worlds biggest and most capable Super Yacht Tenders. 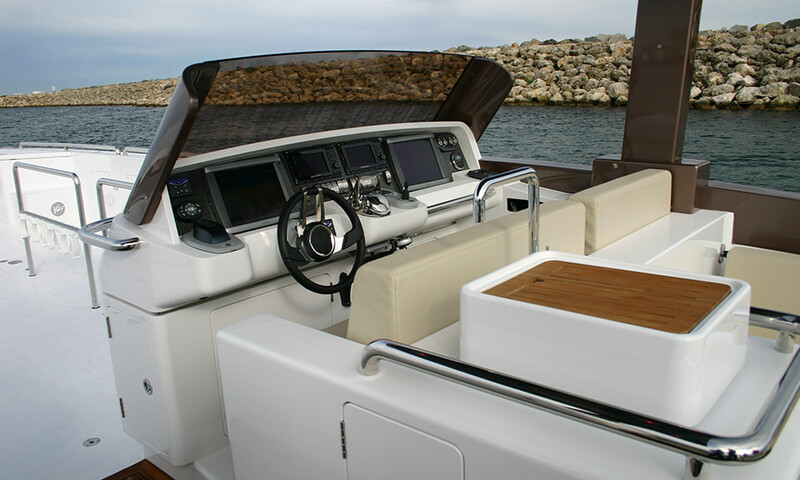 The range of equipment is comprehensive and the scope of work expected to be delivered by the vessel is equally impressive. 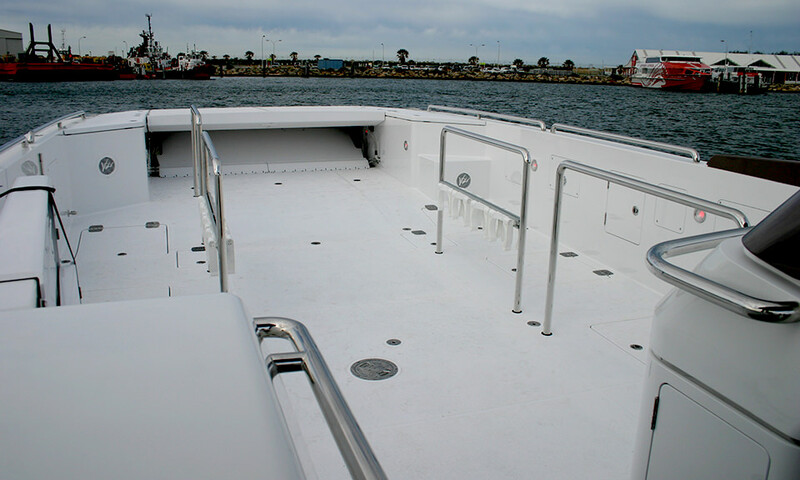 In short, this tender serves the yacht as a people mover, dive platform, refueler and cargo supply ferry as well as carrying consumables/refuse to shore. 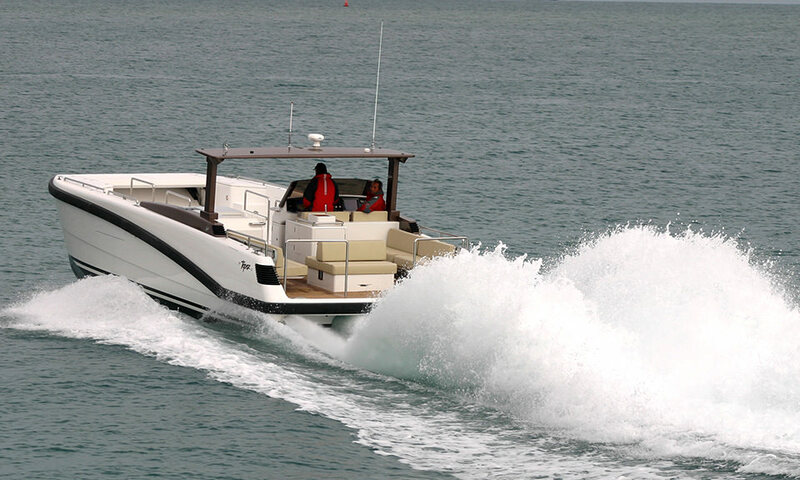 With a pair of D6 Volvo Diesels coupled to Hamilton HJ 292 water jets, this tender is capable of 35 knots and can operate in shallow bays, with excellent torque and maneuverability. 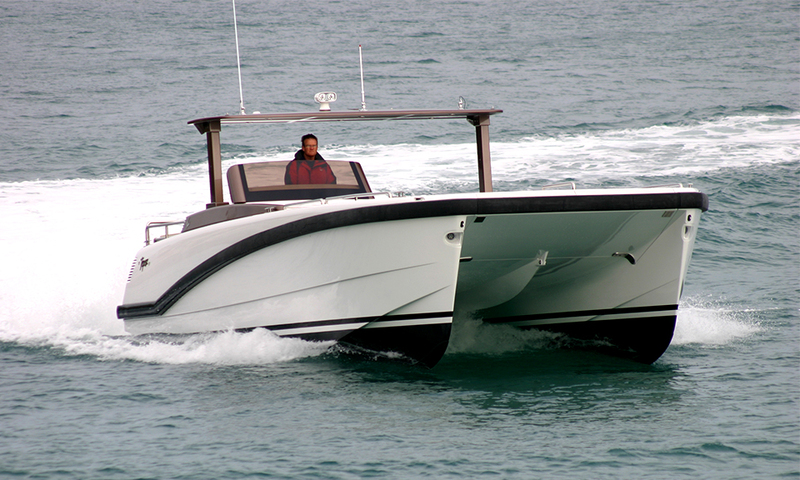 Equipped with a 500 litre petrol tank and bowser, she can be used to refuel jet skis and other tenders. 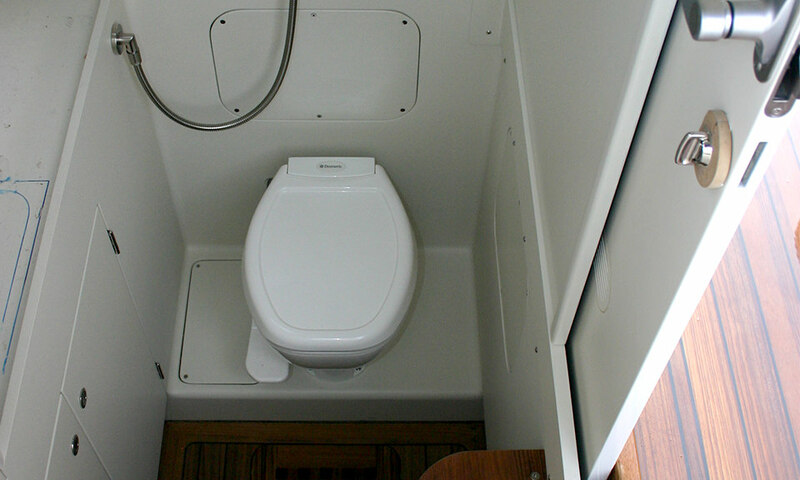 This versatile tender is equipped with a practical shower and toilet compartment, a refrigerator, live bait tank, an ice box, ballast tanks forward and aft for delivering and retrieving a 4WD in a beach environment. 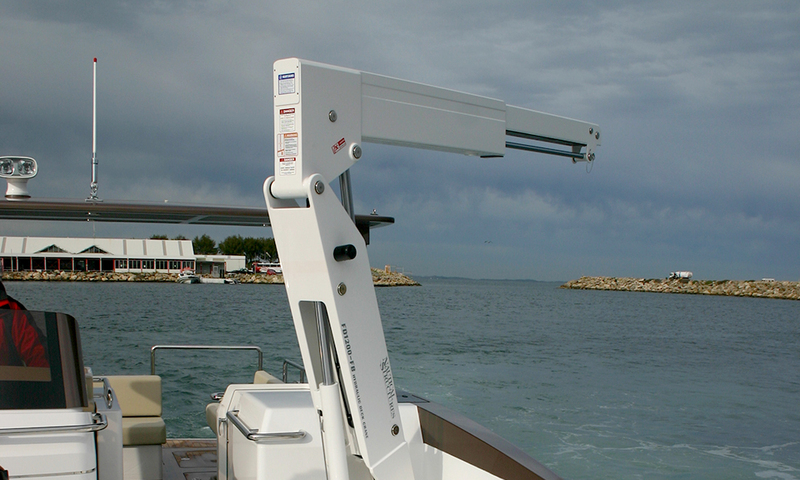 A 400 kilo capacity hydraulic davit crane with a rising pedestal, slew, luff and a rope winch is installed for handling heavier cargo, diving operations and retrieval of jet skis etc. 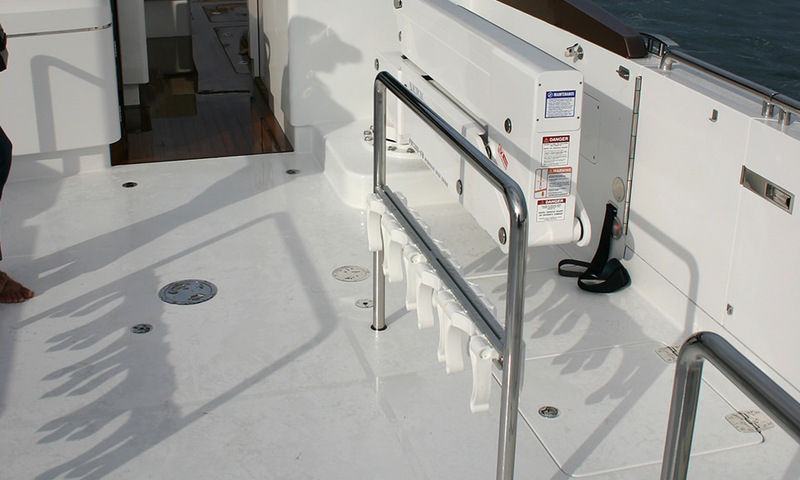 A large seating capacity is provided and some of the removable seating is anchored to the mounting on the cargo deck which doubles as tie down points for cargo. 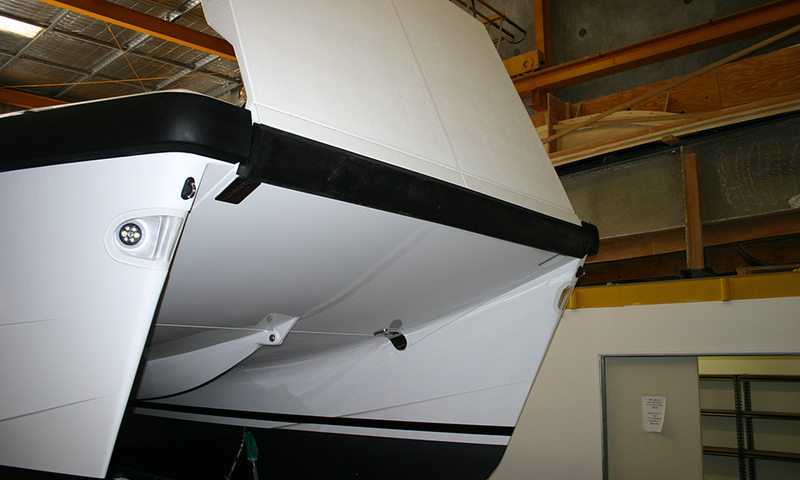 The massive hydraulically operated fold out bow door also serves as a ramp for vehicles to drive on and off. 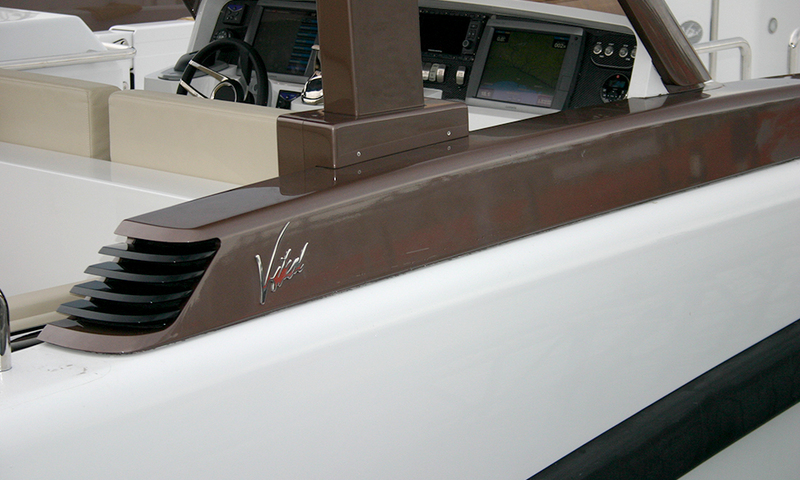 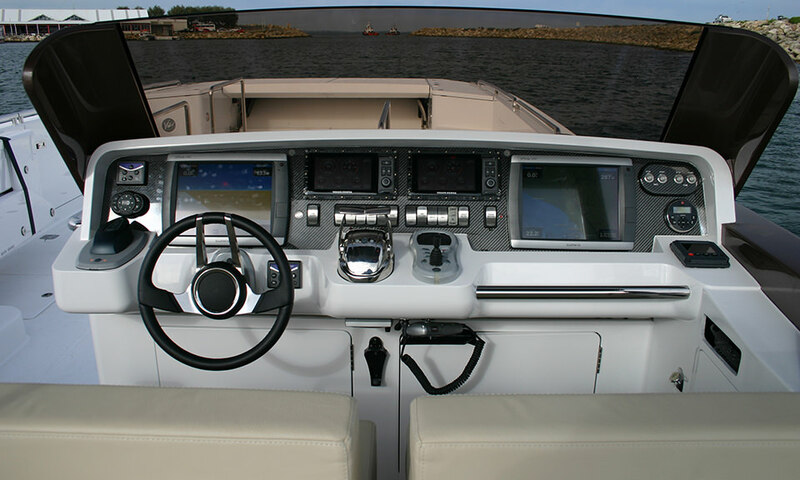 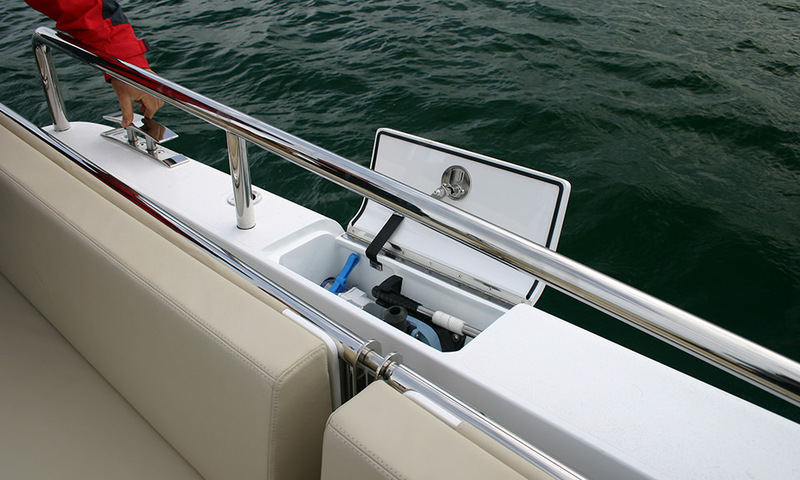 The linear actuator activated helm hardtop / Bimini is retractable, in order to reduce the height of the tender, allowing it to fit into the yachts garage.